Handle Style: Pistol Grip Maximum Torque: 1,825 in-lbs. Power Settings: 3 Length: 5.3 in. Product looks flawless!! Thank you very much!! Works and looks great! I like it! Impact driver came in a nice black Dewalt plastic case. Both batteries fly charged. 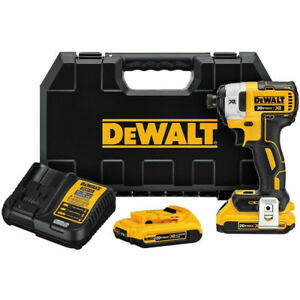 Impact driver looks virtually new as well as the charger and batteries. This thing sure has some serious power. 1,820 inch pounds of torque is just insane. I'd imagine this thing could do everything you throw at it. You can feel the power in this driver the second you press the trigger. First brushless tool I've owned and couldn't be happier with the power and efficiency. Highly recommend this set. It's a steal at this price, dont miss out! Excellent quality. Very useful tool. Put to work immediately in my HD motorcycle repair shop. For smaller fasteners its ideal. Lightweight and easy to handle. Much more convenient than running an airline and using a butterfly gun. I also purchased a 6ah battery for heavy jobs but so far haven't needed to use it. The 3 speed settings are perfect! Just dont forget to purchase compatible bits at the same time. THis driver is great. The 3 speed selector comes in handy. 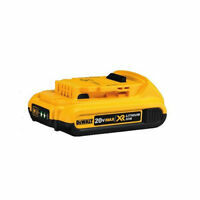 speed 3 has the speed faster than my dewalt 18v drill and electric b and e drill and that drill is great. I had two harbor freight impact drivers 18vs, this thing makes them look like cordless screw drivers. 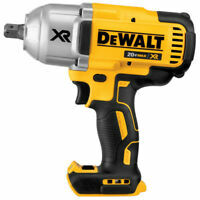 If you dont have this impact driver, get it, you will not be disappointed. I was in the tool distribution/industrial supply business for over 20 years. This is the most usable tool I've ever used. Quality is excellent, weight is light, and battery has a very long life. 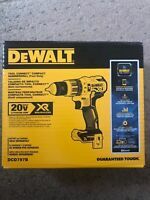 highly recommend DEWALT and this tool. This impact arrived early. Work like a charm. Used it a little working on my car today and had not one issue. Can’t wait to use it on a harmonic balancer bolt to see if it’ll get it out. Would definitely buy another one to have. Comes with two batteries which is a great deal.